In our ever evolving busy schedules, quite often we rarely have time to eat, let alone prepare a complete meal on any given weekday. Meal planning doesn’t mean that you have to spend your entire weekend shopping, slicing, dicing, and the like. On the contrary, by sitting down for just 15 minutes over the weekend, I come up with four meals for the week ahead. We eat a lot of turkey – despite obvious reasons why, we like the taste of turkey and I like that it is packed with protein and can adhere to any seasoning – making it incredibly versatile. 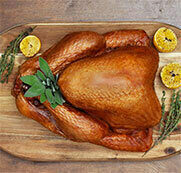 While I like to buy different cuts of turkey, I’m also not a stranger to roasting a whole turkey – without the fixings. You can buy smaller, local turkeys at your local grocer. Cooked turkey keeps for four days in the fridge and up to three months in the freezer. 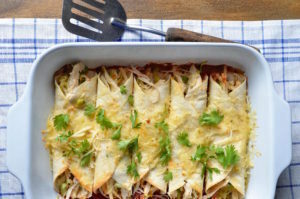 A dish that we really enjoy eating and making is Turkey Enchiladas. It is easy to prepare and you can use any cut of turkey, like breast or thigh, or leftover roast turkey for this dish. Tip: If making the dish with breast or thigh meat, you can cook it the evening before and store it in the fridge for quick prepping. 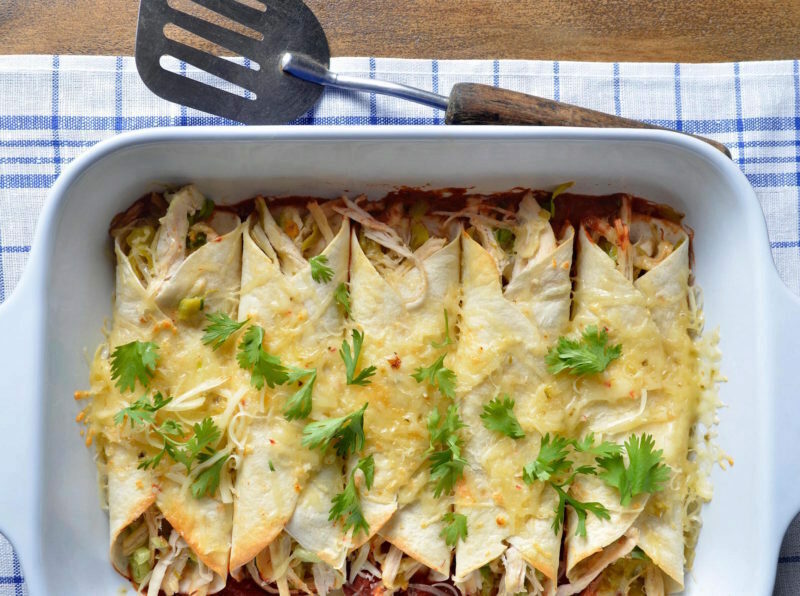 The enchiladas are baked and will warm up in the oven. In a bowl mix the turkey, chilies, onions and ¾ of the grated cheese. In another bowl combine tomato sauce, oregano, cumin and cloves. In a 10 x14 inch roasting pan pour in 1/8 of an inch of tomato sauce on the bottom. Place equal amounts of turkey mixture into the center of each tortilla and roll them. Sprinkle with remaining ¼ of grated cheese and bake for 30- 40 minutes. Serve hot. 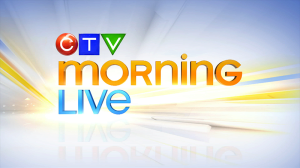 Click on the image above to watch this morning’s CTV Morning Live segment of #LetsTalkTurkey.